Mugabi John Socrates is a tireless advocate of enterprise and prosperity in Uganda. Mugabi John Socrates has inspired the growth of Students for Liberty in Uganda over the last 18 months with many activities in universities around the country and now he is setting up ALED. 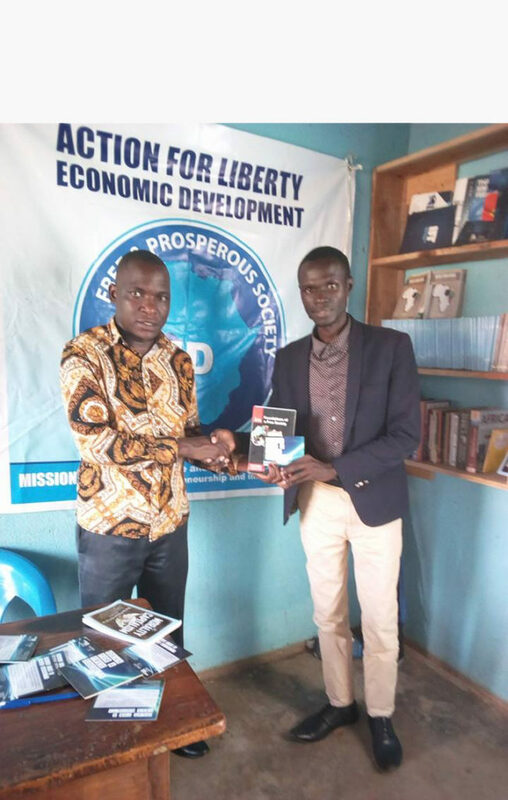 Action for Liberty and Economic Development in Uganda will be a civil society think tank to promote freedom and remove the barriers to opportunity enterprise and prosperity as the best means of enabling people to lift themselves from poverty through their own efforts. Already they have an office with a library where they welcome anyone to come and study the concept of a free society for themselves and what can be done to promote it further. Those who come to the office or attend events get a copy of the Ideas for a Free Society CD so that they have access to a much greater number of inspiring texts by the great philosophers of the world. A wonderful discussion and interaction from Kara Tom, a student of Law from Uganda Christian University. Tom comes from South Sudan where he has not been for last three years because of his home village being destroyed by civil war. Tom has got motivated by ideas of free society including prosperity and freedom. 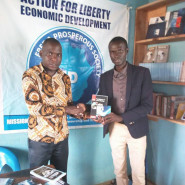 ALED handed over a CD of ideas of free society and foundation for free society book. 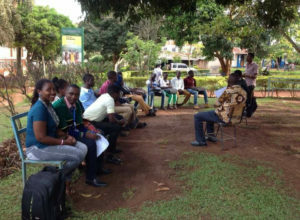 ALED and students for Liberty-Uganda continues educate students and young people about the ideas which create a free and prosperous society.